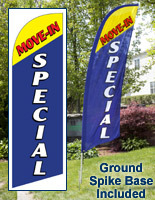 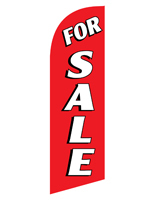 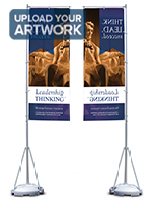 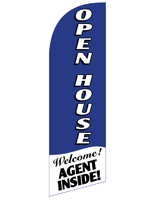 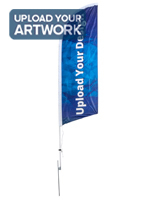 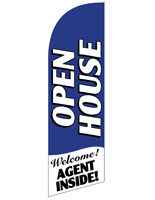 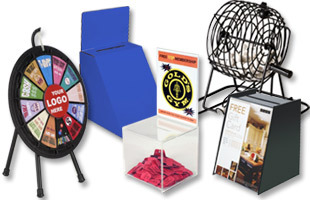 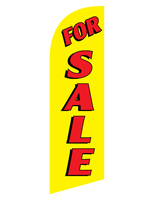 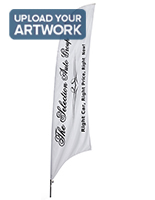 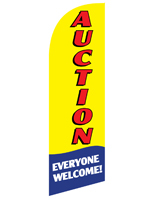 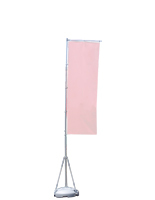 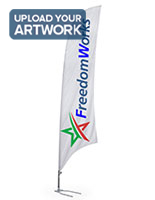 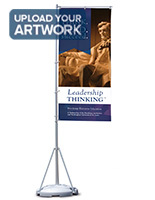 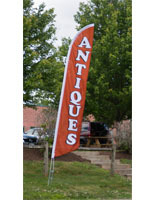 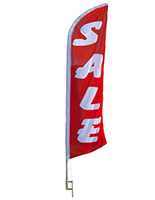 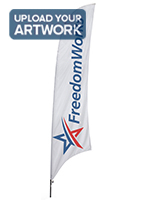 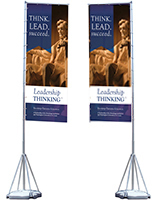 Wind Flags - Custom Outdoor Advertising Displays! 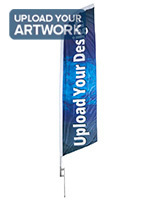 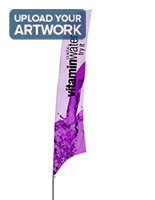 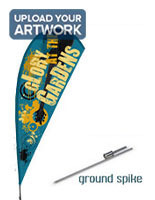 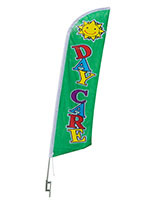 Let your promotional message fly with these wind flags and banners! 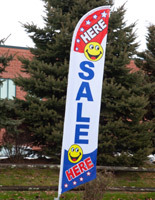 Whether you’re using them at the beach to flutter in the ocean breeze, or on the lawn of your local business to entice passing cars, these feather and teardrop shaped banners are important advertising tools for all environments! 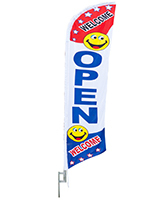 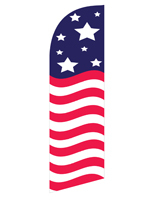 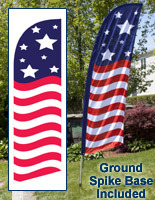 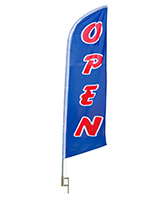 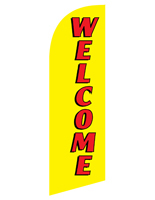 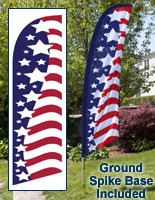 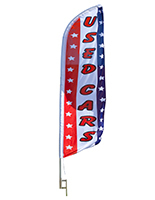 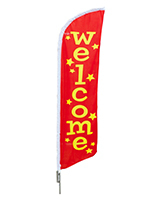 Some outdoor wind flags come with pre-printed banners with messages like “OPEN”, “WELCOME” and “SALE”, while others even come printed with a patriotic American flag design! 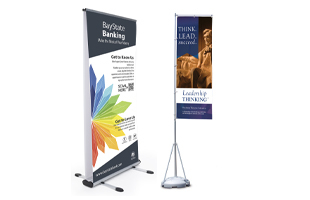 Other banner options are available with full-color custom printing so businesses can advertise their own brand names and logos with pride! 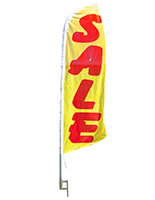 Imagine seeing such a banner flowing in the wind in front of your storefront with your company’s logo brightly printed all over it? 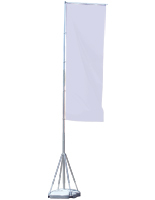 These wind flags also come with a range of different base styles besides ground spikes, so you don’t necessarily need a grassy golf course or beach to display them! 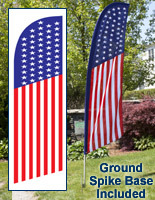 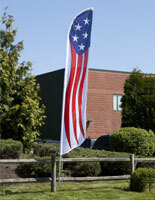 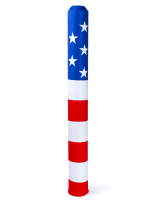 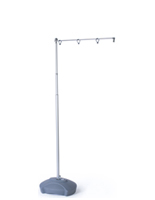 One of our most popular flag bases is a fillable base that can be weighted with sand or water. 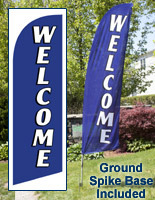 You can use the water bases on cement parking lots or sidewalks easily! Car foot bases are another popular style that don’t require soft ground! 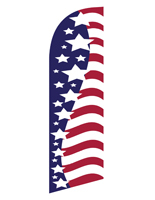 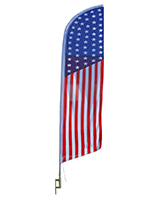 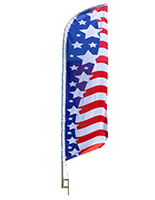 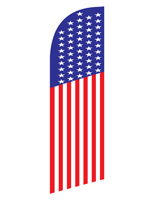 Car dealerships and auto shops love how easy it is to slide this metal flag base under a car wheel. 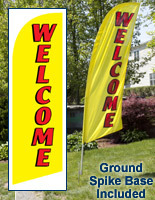 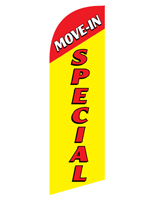 Choose from wind banners that come in 8’ to whopping 17’ heights! 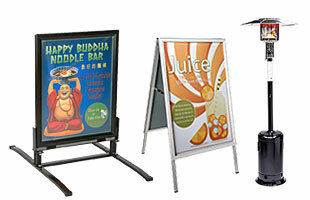 With such large, high quality advertising tools, your return on investment will be rolling in in no time.